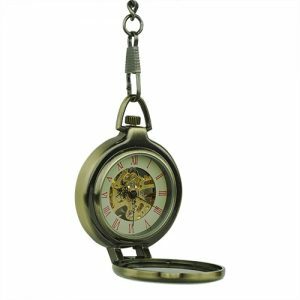 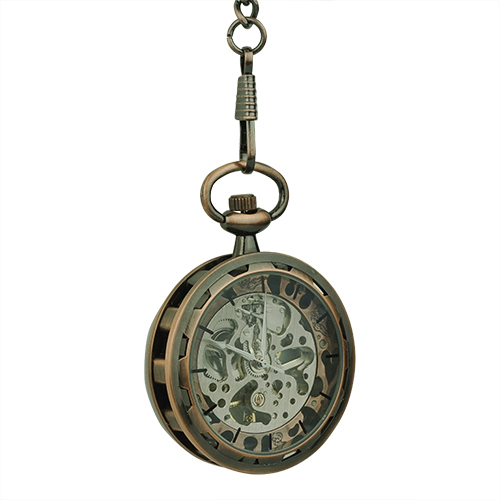 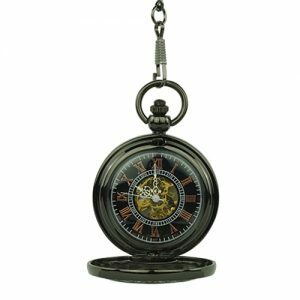 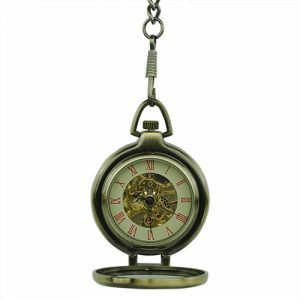 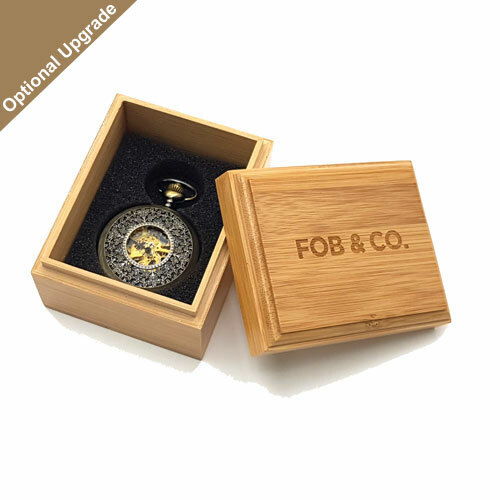 Copper Tone Tire Design Pocket Watch - Fob & Co.
Get yourself a contemporary timepiece that features a brass finished, gear themed front cover. 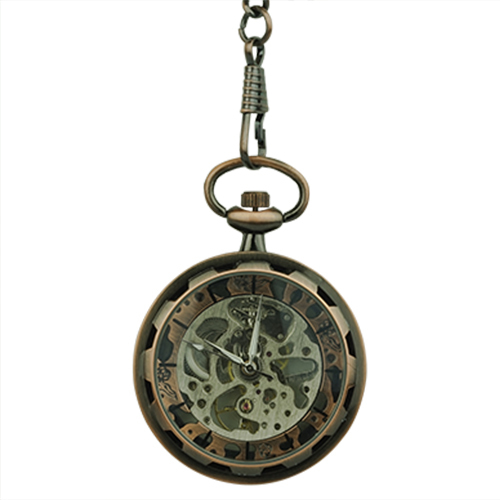 It highlights a see-through window that allows a look into a combination of brass gears and an intricately made, silver skeleton. 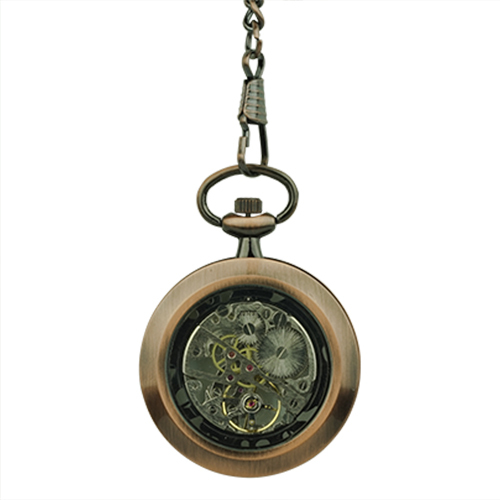 The back cover boasts a brushed brass finish and a generous view of the inner workings.